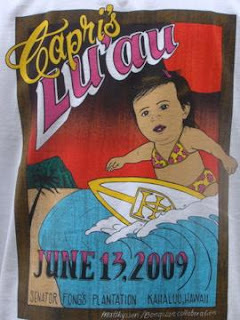 "A DAY IN THE LIFE OF BOBBY FILIPINO"
Here are some pics from Capri's luau a couple of weeks back. Good time with family and friends. Shirt designed by Mike "Big Island" Castillo. One of the best Tahitian Dance groups in Hawaii. They pulled me up to try to dance, but I think its best I don't post that picture and scare off those of you that read my blog..lol. Pri Pri! Happy Birthday lil mama. Since it was her party she was allowed to eat all the frosting..lol. God. Family. www.fittedhawaii.com www.upperclassmen808.com www.manifesttherhyme.com Family Business. Night Shift.